Following ex-rugby player Richard Parks as he takes on the 737 Challenge. Programme 1 sees Richard tackle the first 4 legs of his challenge starting in Antarctica. In December 2010, former Wales rugby international Richard Parks set off on a record-breaking challenge to conquer the highest summits on every continent. His epic 737 Challenge - 7 summits including the 3 geographical poles in 7 months - would be a feat never before attained by a human being. When an injury brought his rugby career to a premature end, he set his sights on completing an adventure that would raise a million pounds to help cancer sufferers and after 18 months of preparation his first goal would be to reach the South Pole by the last day of 2010. The clock to complete the challenge would then start to tick. The first episode of the trilogy shows Richard preparing his body and mind to deal with the rigours of the challenge ahead - deprivation training, cold water immersion training. 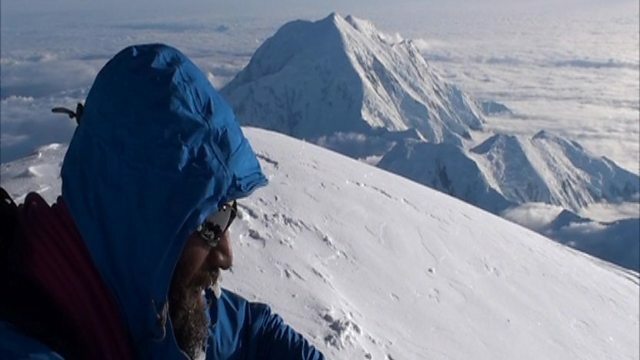 In this programme, the South Pole, Mount Vinson - the highest peak on Antarctica - Aconcagua in South America and Kilimanjaro in Africa, each of these hurdles is attempted in this amazing challenge of human endurance.